Mold can be found almost everywhere, both inside and outside of one’s home or office building. In some cases it’s harmless but in others it can be harmful to human health. What are your options should you discover toxic mold in your home or office? Some of the more common molds found indoors include Penicillium, Aspergillus, Alternaria and Cladosporium. Most types of mold do not pose a risk to humans but there are two types of household mold which can be dangerous – the most common of these types of mold are Stachybotrys and Memnoniella. “Black Mold” such as Stachybotrys chartarum, which is greenish black in appearance, is a fungus which is also associated with toxic mold syndrome. This type of mold often grows in places which are damp and which contain cellulose such as wallpaper, cardboard, carpet, straw, hay and wet leaves. It usually appears as dark spots or blotches that grow on your wall, ceiling or near your window sill and may be confused as ground in dirt. Memnoniella is a toxic mold that closely resembles Stachybotrys chartarum and frequently both molds are found together. Memnoniella is even smaller in size than Stachybotrys chartarum and more easily penetrates and infects the air and nasal passages. In appearance, Memnoniella resembles a growing collection of black dots or spots. At present in 2011, there are no standard guidelines regarding what kind of mold is specifically considered to be toxic or how much mold would be considered toxic. However, it is clear that exposure to mold in high concentrations may cause illness with symptoms including skin rashes, lung disease, headaches, respiratory problems, brain damage and memory loss as well as death of infants. In one home where Stachybotrys chartarum was found, children were found to have suffered acute pulmonary hemorrhaging. These children bled from in their air passages with their lungs infected with some unknown illness, the likely result of breathing in black mold spores. What if Your Home Contains Toxic Mold? As soon as you notice potential mold contamination, you should immediately contact your landlord or, if you own your home, your homeowner’s insurance company. Your landlord or insurance company should send someone to inspect the mold in your home in order to determine the type of mold you have and the extent of the problem. They will also have to remedy the mold problem. The insurance company should pay the cost of the mold inspection, which is usually around $1,500. If you are not happy with the results of the mold inspection, you can hire another inspector in order to get a second opinion as to the mold problem. Homeowners are legally obliged to get rid of the mold as possible in order to “mitigate” or minimize the damages cause by the mold. Mitigation of damages may include small efforts such as direct removal to larger action such as ripping up floor surfaces and walls to remove the mold. It is important to identify the cause of the mold to prevent a reoccurrence of mold formation. This may be the result of water damage such as leaky foundations or burst water pipes, which may be costly to fix but necessary. While this work to remove the mold is underway, it may be necessary for you and your family to find alternative temporary accommodations so that you are not exposed to any mold in the air. If you are renting a residence and have been told that it is unsafe for you to live there, you have then become a victim of “constructive eviction” – in effect, you have been forced to leave your home. It is the responsibility landlord to pay for you to relocate to another residence since the one the landlord is renting to you is not able to be occupied. In the event that you encounter problems, many insurance policies give you only one year after discovering mold to take legal action and file a lawsuit. This section of your insurance policy is called a “no action” clause. In addition, every state has a statute of limitation in which will limit the period of time within which you can file a lawsuit. As a result, if you encounter a serious mold problem you should consider contacting an experienced personal injury lawyer or insurance lawyer if you cannot quickly come to some agreement with the insurance company about the damages to be paid. 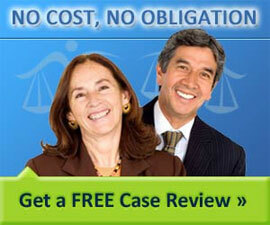 In addition, you should know how to preserve evidence for your toxic mold lawsuit to increase your chances of success.